Lab color space is used when graphics for print have to be converted from RGB to CMYK, as the Lab gamut includes both the RGB and CMYK gamut. 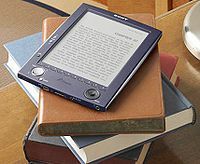 Also it is used as an interchange format between different devices as for its device independency. The space itself is a three-dimensional real number space, that contains an infinite number of possible representations of colors. 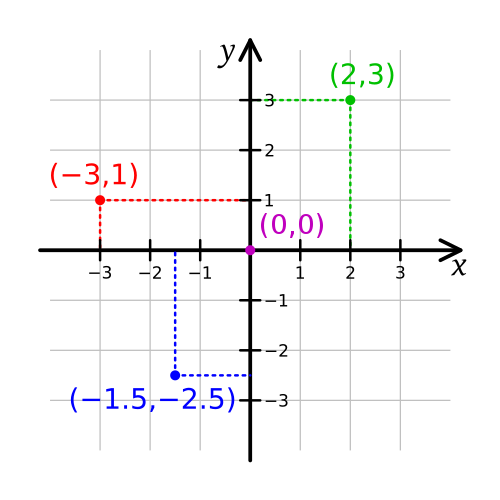 However, in practice, the space is usually mapped onto a three-dimensional integer space for device-independent digital representation, and for these reasons, the L*, a*, and b* values are usually absolute, with a pre-defined range. 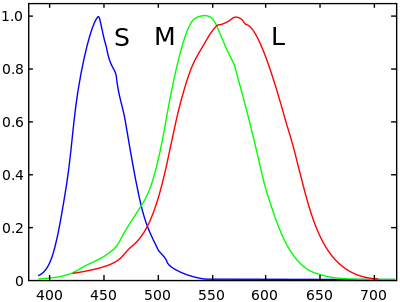 The lightness, L*, represents the darkest black at L* = 0, and the brightest white at L* = 100. The color channels, a* and b*, will represent true neutral gray values at a* = 0 and b* = 0. The red/green opponent colors are represented along the a* axis, with green at negative a* values and red at positive a* values. The yellow/blue opponent colors are represented along the b* axis, with blue at negative b* values and yellow at positive b* values. The scaling and limits of the a* and b* axes will depend on the specific implementation of Lab color, as described below, but they often run in the range of ±100 or −128 to +127 (signed 8-bit integer). Both the Hunter and the 1976 CIELAB color spaces were derived from the prior "master" space CIE 1931 XYZ color space, which can predict which spectral power distributions will be perceived as the same color (see metamerism), but which is not particularly perceptually uniform. Strongly influenced by the Munsell color system, the intention of both "Lab" color spaces is to create a space that can be computed via simple formulas from the XYZ space but is more perceptually uniform than XYZ. Perceptually uniform means that a change of the same amount in a color value should produce a change of about the same perceptual distance. When storing colors in limited precision values, this can improve the reproduction of tones. Both Lab spaces are relative to the white point of the XYZ data they were converted from. Lab values do not define absolute colors unless the white point is also specified. Often, in practice, the white point is assumed to follow a standard and is not explicitly stated (e.g., for "absolute colorimetric" rendering intent, the International Color Consortium L*a*b* values are relative to CIE standard illuminant D50, while they are relative to the unprinted substrate for other rendering intents). The lightness correlate in CIELAB is calculated using the cube root of the relative luminance. Helmholtz–Kohlrausch effect into account. Thus, it can be used to make accurate color balance corrections by modifying output curves in the a and b components, or to adjust the lightness contrast using the L component. In RGB or CMYK spaces, which model the output of physical devices rather than human visual perception, these transformations can be done only with the help of appropriate blend modes in the editing application. Because the Lab space is larger than the gamut of computer displays and printers and because the visual stepwidths are relatively different to the color area, a bitmap image represented as Lab requires more data per pixel to obtain the same precision as an RGB or CMYK bitmap. In the 1990s, when computer hardware and software were limited to storing and manipulating mostly 8-bit/channel bitmaps, converting an RGB image to Lab and back was a very lossy operation. With 16-bit/channel and floating-point support now common, the loss due to quantization is negligible. CIELAB is copyright and license-free: as it is fully mathematically defined, the CIELAB model is public domain, it is in all respects freely usable and integrable (also systematic Lab / HLC color value tables). A big portion of the Lab coordinate space cannot be generated by spectral distributions, it therefore falls outside the human vision and such Lab values are not "colors". Differentiation Some specific uses of the abbreviation in software, literature etc. ^ Hunter, Richard Sewall (July 1948). "Photoelectric Color-Difference Meter". JOSA. 38 (7): 661. (Proceedings of the Winter Meeting of the Optical Society of America) ^ Hunter, Richard Sewall (December 1948). 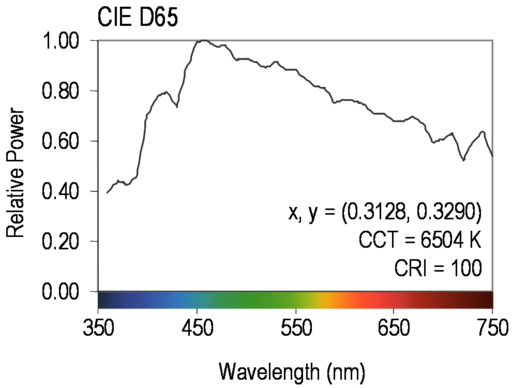 "Accuracy, Precision, and Stability of New Photo-electric Color-Difference Meter". JOSA. 38 (12): 1094. (Proceedings of the Thirty-Third Annual Meeting of the Optical Society of America) ^ A discussion and proposed improvement, Bruce Lindbloom ^ Explanation of this history, Bruce MacEvoy ^ a b International Color Consortium, Specification ICC.1:2004-10 (Profile version 4.2.0.0) Image technology colour management — Architecture, profile format, and data structure, (2006). ^ Margulis, Dan (2006). Photoshop Lab Color: The Canyon Conundrum and Other Adventures in the Most Powerful Colorspace. Berkeley, Calif. : London: Peachpit ; Pearson Education. ISBN 0-321-35678-0. ^ The Lab Color Mode in Photoshop, Adobe TechNote 310838 ^ TIFF: Revision 6.0 Archived 2007-07-01 at the Wayback Machine. Adobe Developers Association, 1992 ^ Color Consistency and Adobe Creative Suite Archived 2008-07-25 at the Wayback Machine. ^ Adobe Acrobat Reader 4.0 User Guide "The color model Acrobat Reader uses is called CIELAB…" ^ 3D representations of the L*a*b* gamut, Bruce Lindbloom. ^ CIE-L*C*h Color Scale ^ Fairchild, Mark D. (2005). "Color and Image Appearance Models". Color Appearance Models. John Wiley and Sons. p. 340. ISBN 0-470-01216-1. ^ Jain, Anil K. (1989). Fundamentals of Digital Image Processing. New Jersey, United States of America: Prentice Hall. pp. 68, 71, 73. ISBN 0-13-336165-9. ^ János Schanda (2007). Colorimetry. Wiley-Interscience. p. 61. ISBN 978-0-470-04904-4. ^ Hunter Labs (1996). "Hunter Lab Color Scale". Insight on Color 8 9 (August 1–15, 1996). Reston, VA, USA: Hunter Associates Laboratories. ^ Adams, E.Q. (1942). "X-Z planes in the 1931 I.C.I. system of colorimetry". JOSA. 32 (3): 168–173. doi:10.1364/JOSA.32.000168.